GORDON LEE COOMBS BOARDMAN – Gordon Lee Coombs, 86, passed away Friday morning, April 28, 2017, at Hospice House with his loving family by his side. Gordon was born Dec. 11, 1930, in Youngstown, the son of the late Gordon E. Coombs and Mary E. Schettler. He was a U.S. Navy veteran, serving during World War II. Gordon was an engineer for the Mesta Machine Company in New Castle, Pa., and the Morgan Construction Company in Pittsburgh. 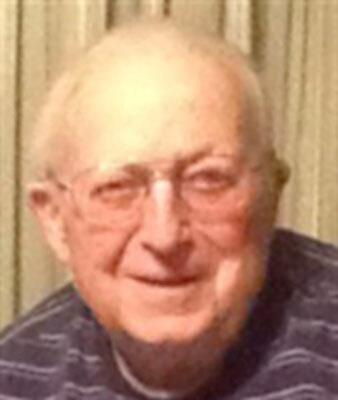 He was a member of the Calvary United Methodist Church in North Lima, where he was a member of the Disciple Sunday school class, a Past Master of Sulgrave Lodge 696 F&AM, Past District Deputy of The 24th District, Past Secretary of Sulgrave Lodge 696 F&AM, and an active member of The National Association of Watch & Clock Collectors. He was a lifelong area resident. After retirement, he enjoyed fixing many kinds of clocks and became known as “Doc Clock.” Gordon is survived by his wife of 66 years, the former Marion L. Griffith, whom he married on Jan. 13, 1951; four children, Robert L. Coombs (Karen) of Land-O-Lakes, Fla., Joanne Green (Mark) of Boardman, Paul G. Coombs (Connie) of Youngstown and Karen L. Jones (Scott) of Greenford; nine grandchildren, Robyn Tapley, Jennifer Brown, Daniel Green, Jason Coombs, Bryant Coombs, Eric Coombs, Kevin Jones, Kaylyn Jones and Connor Jones; nine great-grandchildren, Jett Tapley, Juliet Tapley, Elizabeth Brown, Zachary Brown, Eli Brown, Jacob Green, Jace Green, Averie Coombs and Caden Coombs; and three sisters, Jean Bochert, Mary Lou Berezo and Mary Ellen Brannigan. Private funeral services were held at the Calvary United Methodist Church for Gordon. There were no calling hours. The family requests that material tributes take the form of contributions to Hospice House, 9803 Sharrott Road, Poland, OH 44514; or Hospice of the Valley of Salem, 2388-B, Southeast Blvd., Salem, OH 44460 in memory of Gordon.